Students admitted to one of the selected online graduate programs are offered a flat-rate tuition of $325.00 per credit hour regardless of residency or location. The MBA provides students with broad exposure to management through course work in all business disciplines. The degree is designed to meet the needs of highly committed individuals seeking career advancement and further knowledge and skills. The program requires 30 credit hours beyond the pre-requisites. The Master’s Degree in Advanced Studies in Teacher Leadership (ASTL) is a 30-credit hour degree program designed to enhance and expand your existing knowledge, skills, and dispositions while further developing the core competencies expected of advanced educators. On-campus visit(s) required. The Master of Science in Instructional Technology (ITEC) is designed to provide candidates with the knowledge and skills needed to become technology leaders and practitioners within their professional arenas (e.g., education, business, government, non-profit organizations). By its design, the program offers a broad view of the field of instructional technology (e.g., history, theory, technology, management) yet is flexible enough to allow candidates to select an area of concentration reflective of their vocational interests. These areas of concentration, which provide specialized training in three technologically distinctive fields, are (a) distance education, (b) media design and development, and (c) technical support of instructional technologies. On-campus visit(s) required. The goal of the graduate program in library media and information technologies is to prepare individuals for professional positions in a variety of information and educational settings. On-campus visit(s) required. The College of Education offers a Master of Arts in Teaching (MAT) degree program created especially for individuals without teaching credentials who have earned baccalaureate degrees in specific content areas and want to become teachers in an expeditious fashion. On-campus visit(s) required. The College of Education offers the Master of Arts in Teaching (MAT) in Special Education for individuals without teaching credentials who have earned baccalaureate degrees in specific content areas and want to become special education teachers in an expeditious fashion. The primary purposes of this program are to 1) prepare reading specialists/literacy coaches with advanced knowledge, strategies, leadership skills and professional dispositions that will allow them to work with struggling readers and writers, assist other classroom teachers in various aspects of teaching, and lead the reading/literacy program in the public schools and other institutions; 2) help classroom teachers improve their reading/literacy instruction. On-campus visit(s) required. The University of Central Arkansas offers a Master’s of Science (MS) in school counseling. The purpose of this program is to prepare school counselors to meet the educational, social, psychological, and career needs of students while working collaboratively with students, teachers, parents, peer professionals, administrators, and the community. On-campus visit(s) required. The Master of Science degree in School Leadership, Management, and Administration (SLMA) reflects the College of Education’s historic mission and commitment to preparing leaders for P-12 schools. The Department of Leadership Studies offers a performance-based, 34 credit hour degree program for building and curriculum/program administrators. Programs of study are available for people holding appropriate master’s degrees. The program utilizes a variety of 21st century technologies, authentic assessments, and personalized internships. On-campus visit(s) required. The Master of Science in Special Education is designed to prepare candidates in the development of knowledge, skills, and strategies needed to impact services and supports to students with special needs. On-campus visit(s) required. The graduate program in health sciences leads to the Master of Science Degree in Health Sciences. Master’s degree graduates are prepared to assume leadership and supervisory roles in assessing, planning, implementing, and evaluating health education programs in community, school, medical care, and worksite settings. Many students use the degree for upward mobility. The Master of Science degree in Family and Consumer Sciences is now completely online. The program is designed to serve the needs of qualified students preparing for Family and Consumer Sciences careers in business, education, hospitals, industry, government, community agencies, and for entering a doctoral program in Family and Consumer Sciences or in a related discipline. Students can select from specialization tracks in Clothing, Textiles, and Fashion; Nutrition and Foods; and General Family and Consumer Sciences. The Nutrition and Foods track is designed to support individuals enrolled in or completing a dietetic internship. The Clinical Nurse Leader (CNL) is an emerging role in advanced nursing practice. The CNL works within a health care system to improve patient care quality and safety at the point of care delivery. The CNL may work in any healthcare setting with any patient population. On-campus visit(s) required. The graduate student who seeks to be prepared in an emerging advanced nursing practice role. The CNL works within a health care system to improve patient care quality and safety at the point of care delivery. The UCA Master of Science in Nursing (MSN) degree program is designed for a working Registered Nurse (RNs) with a baccalaureate degree in nursing. All MSN courses are offered online with periodic visits to the Conway campus required for each course (see On-Campus Dates tab). Each track meets the professional standards for that role preparation. On-campus visit(s) required. All of the MSN majors/tracks are designed for Registered Nurses (RNs) with a baccalaureate degree in nursing who are seeking the Master of Science in Nursing (MSN) degree. The MSN program is designed for the working RN with all nursing courses offered online. On-campus visit(s) required. The Executive Master of Arts in Sport Management is aimed to enhance the knowledge base of sport management through an online learning environment. This aim will support students who are currently working and possess the desire to achieve an advanced degree in the hopes of advancing their careers in the sport industry. The purpose is to have students engage in the broad topics within the sport management discipline in an intense program to inform students a deep level of understanding within each topic. The executive style of program allows students to continue to keep working while enrolled in 8-week courses (2 courses per semester) and finish the degree in 20 months. The academic standards required for our online programs and courses are the same as those for our on-campus equivalents. UCA was ranked as one of the best colleges in regional universities (South) by U.S. News & World Report, 2015 Best Colleges Rankings. UCA Online embraces a STUDENTS FIRST approach for all student support and services. You will have direct contact with our Program Coordinators to ensure your support needs are met. 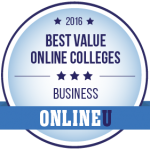 UCA Online provides you a world-class education with unparalleled value. 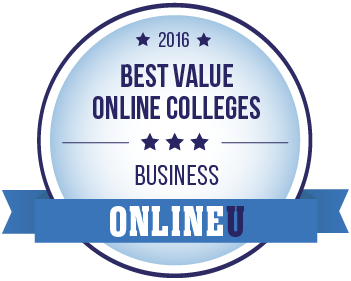 UCA was ranked as one of the most affordable four-year universities in America by bestvalueschools.com.